Today I am going through a corporate website in the United Kingdom which was having trouble ranking high for certain key phrases and also experiencing a loss of traffic after they migrated their site from HTTP to HTTPS. One of the first things I do when working with a larger website is a technical SEO audit. The biggest problems are often glaringly obvious within a few minutes. That was the case today when I fired up a spider and began crawling the site. 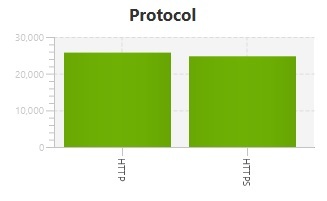 Over on the “protocol” tab of Screaming Frog I saw the little bar graph had 2 columns instead of one. Uh oh. Here is a screenshot. In this case I discovered almost 26,000 HTTP pages and almost 25,000 HTTPS pages. And yes, this is all duplicate content. Screenshot of a domain that has not properly redirected their HTTP traffic to HTTPS. Why is there a loss of traffic? They are still monitoring their traffic in Google Analytics via the HTTP version of the website. The HTTP site is not properly redirected to the HTTPS version of the website. The HTTP version of the site and HTTPS version of the site are treated like completely different domain names as far as Google’s tools and other search engines are concerned. You mine as well be tracking the traffic on mcdonalds.com instead of burgerking.com if this is not properly set up. There are many other problems which can lead to traffic loss. For example, it is only February 16 and we have had shakeups in Google search results just this month. To determine which is causing your issue it is best to start with a good crawl of the site to analyze. 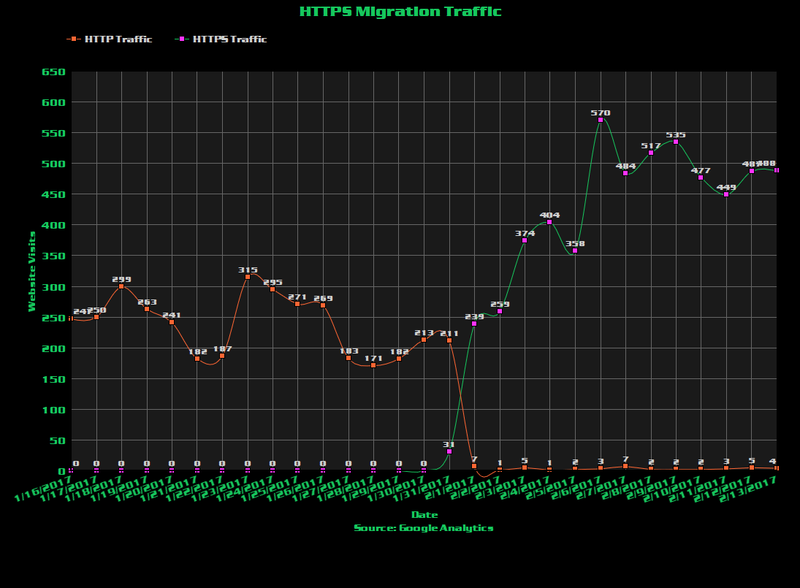 Have you experienced HTTPS migration traffic issues? Tell us about them via email or below.